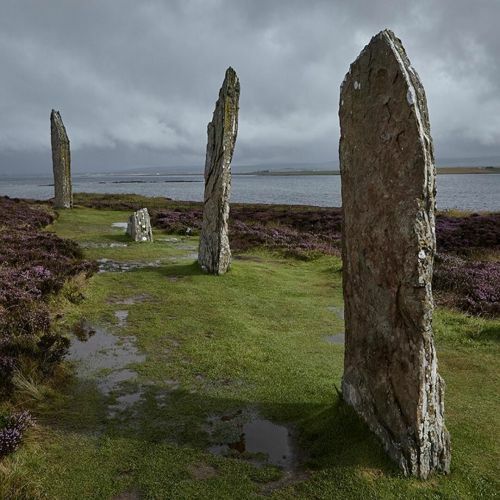 "The Ring of Brodgar in the #Orkney Islands. @andyhaslamphoto photographed traces of Nordic culture in Scotland with a drive into formerly #Viking lands. Scotland is maybe not the most obvious place to look for traces of Nordic culture. But in the months leading up to the nation's vote on independence from England last September, there was talk of it everywhere. Although it had been six centuries since any part of Scotland was in Norse hands, many nationalists were suggesting that Viking heritage formed part of the separate identity that lay behind the independence bid. Follow @nytimestravel to see more from #Scotland, and other journeys around the world." By nytimes on Instagram.